94% of IT professionals consider it valuable to manage data based upon the business value of it. Yet only 32% are doing it - because it's hard. Are you looking to be a part of the 32% without the difficulties? There is a substantial gap between those who want to use data to its full potential and those that are actually doing so. Storage systems have never been designed with the end-goal to help customers prioritize their data based on their own priorities and the value of that data. Narrowing that gap may not be as hard or expensive as many companies think. Solving these challenges was one of the founding principles around NexGen's Hybrid Flash Array. 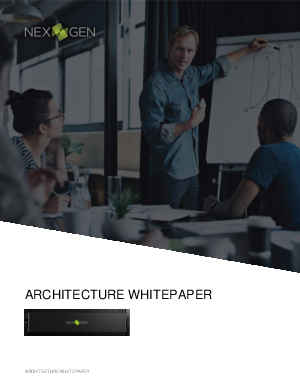 Download now and learn how IT professionals can use NexGen storage architecture and software to simplify data priority assignment and management process.